On the agenda of customers in the field of urban security - tasks to improve the quality of life of citizens through large-scale use of information and communication technologies in the social sphere and also aims to increase efficiency and transparency of city management. The conference "Digital transformation: from a safe city to a safe region" will take place on the 12th of February. 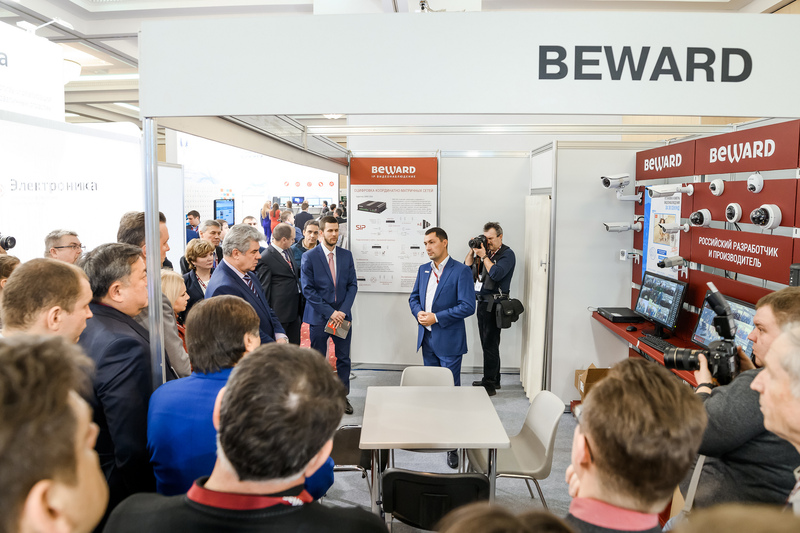 We invite producers, developers and integrators to demonstrate their intelligent products and modern solutions for safe and smart cities of Russia at TB Forum 2019. Yuriy Artemov, Chairman of the Partnership Council, the Nonprofit Association "Information and Coordination Centre of non-state security structure of Ryazan Region"
How does a smart city work? Stable development. Effects to control. Government influence in a digital transformation of cities. The way from local "smart" solutions to integrated intelligent infrastructure. Systems of distributed situational centres. Complex information systems of monitoring and management of operational services. Security in "Smart cities" Internet of Things, video analytics and acoustic control systems, integrated systems of public alert and fire safety, artificial intelligence to provide security, prediction systems based on Big Data analyze, cyber security. The theme of the safety of the urban environment supported by separate units and other conferences of TB Forum 2019. 12-13th of February. International Conference "Terrorism and security on transport"
Workshop "Actual issues of transport security of underground, transport hub and Moscow central circle"
Workshop "Actual issues of transport security of road infrastructure facilities, cars and urban ground-based electric transport"
12th of February. Conference "Providing security of mass events"
The Ministry of Internal Affairs and Rosgvard representatives will tell about their experience of providing antiterrorist security during World Cup 2018. 12th of February "Fire security in places with massive stay of people. Kemerovo lessons"
Experts will discuss questions of improving of legislation to provide fire safety in places with massive stay of people - shopping centers, banks, hotels etc. Such companies will present their products: BioSmart, INTELLIKO, KeyGuard, Symway, VIVOTEK Inc., Argus-Spectr, ARMO-Systems, BEWARD, Borlas, VIST Group, Wlibor Systems, GCS, Infotecs, Security Code, Integra-S, Confident, CROC, Magnito-Kontakt, Micran, NAG, NumaTech, PLCSystems, REICOM Group, Ritm, Russian Broadcasting and alert Networks, Synesis, Modern High Technologies, Sphera, TENSOR, Transset, TS-SKN, Cesis, CNT Impulse, GK Shield, ELVIS Neotek, ELVIS-Plus, Electronika, Eliks, Yuzhpolymetal-Holding and others. Hurry up to join them! If you have solutions for the safety of citizens and urban infrastructure and you’re ready to demonstrate them to directors, responsible for the implementation of the program "Safe City" - become a participant of the program and the Review of Solutions and Technologies at TB Forum 2019.